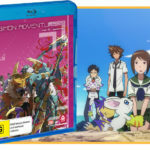 After the sober end to Digimon Adventure Tri Part 2: Determination, the latest release, Digimon Adventure Tri Part 3, decides to invest some time into the conspiracy element of this interesting take on the Digimon world and pull a few heart strings to see how we’re faring. 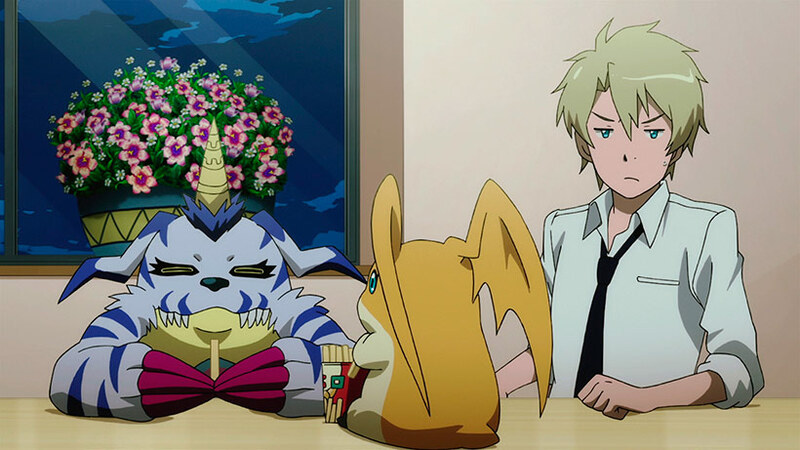 Following the almost episodic approach to this release, Digimon Adventure Tri Part 3 kicks off from Part 2’s aftermath with everyone reeling with the unexpected outcome of the school’s culture fest. 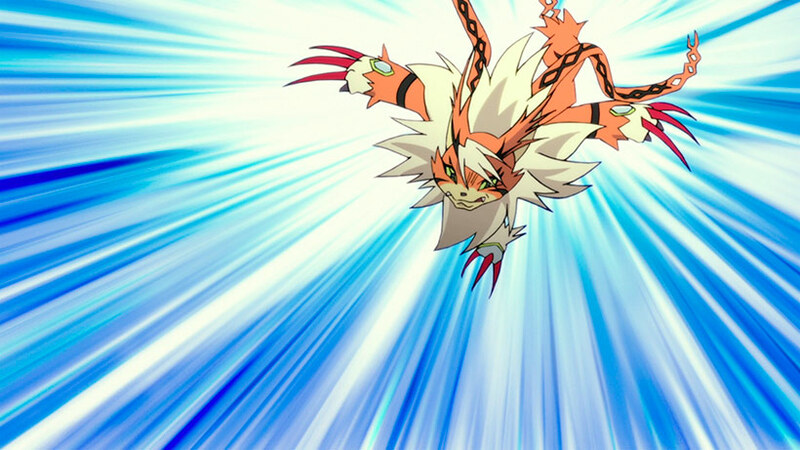 Meicoomon is missing and the remaining Digimon have been isolated as Koshiro frantically pushes through proverbial lakes of data in trying to keep infections at bay while searching for the reasons behind all the disturbances. Meanwhile the team continue to balance the daily grind with their roles as players in a multiverse of sorts, including working through a tangibly interesting shadow government operation. The pace is slow and the narrative has focused hard on plenty of dialogue, postulations on parallel universes, the malleability of time and how the relationships between the Digimon and their human partners has created an unusual bridge, but one that’s in danger of falling apart. It’s… an interesting approach for the series, but part of a very deliberate arc that plays to the strengths of the property. It’s quite interesting to consider this against two historical elements of Digimon Adventure – there’s the obvious parallels between the series and Pokémon given both are about human companions going about their voyage of personal discovery with the company of cute monsters in typical shounen TV anime fashion, as well as the video game side of things too. But where Pokémon leans hard into the whimsical adventure model for kids’ anime, Digimon Adventure has often allowed more deeper themes to be explored – the realities of brothers raised separately by their divorced parents, loneliness and depression, social isolation, societal expectations, the physical realities of giant monster biffo enroaching on the real world and so forth. Granted it’s not always necessarily treated in-depth (keeping in mind Digimon Adventure is a kids’ anime through and through), but there’s enough of these elements mixed in there that gives it a surprisingly unique voice amongst the tropes it often finds itself in service of. 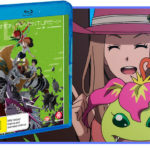 Digimon Adventure Tri Part 3 very much fits this mould – the strength is once again in the narrative and how it explores the relationships between these cute otherworldly creatures and the teenagers who have become their wards. There are a few really great scenes where we see this explored in this episode – Jo’s bouncing back with some confidence after his success in the previous instalment, Koshiro’s doggedness is concerning everyone as we see his number-crunching mind caught in a seemingly endless loop to prove he can resolve all issues even if it’s at the expense of empathy and maintaining relationships with others and Takeru gets some welcomed screentime to explore more of his feelings underneath his well-mannered exterior. The conspiracy element is also proving interesting enough if you’ve found yourself invested in the world, though there’s nothing terribly outstanding at this stage – it’s intriguing if nothing else and I’m looking forward to seeing where it goes. 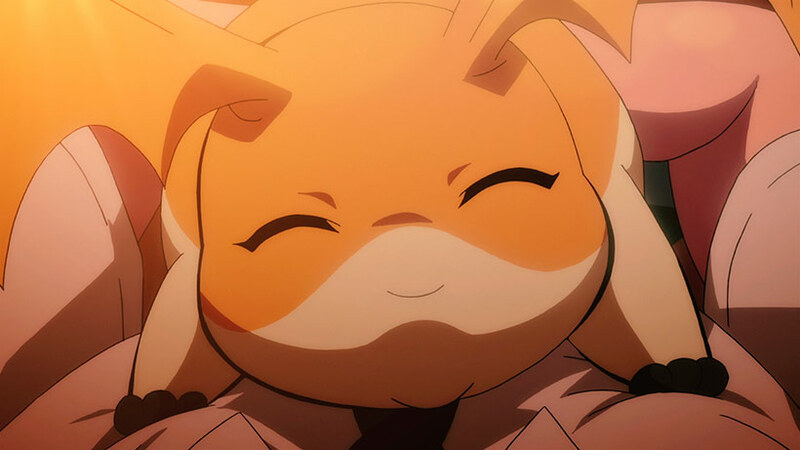 There’s of course a bit of monster biffo in there, and while it’s limited in terms of how long Digimon Adventure Tri Part 3 gets to dedicate to it, the outcome is pretty awesome with all sorts of evolutions, explosions and well meaning tropey dialogue that should keep the fans happy. Much like the preceding entry in the series though, if you don’t have the attention span for the pace or lack investment in the cast, this probably comes off a little sluggish given the at-times episodic feel across a theatrical running time. Like I mentioned in the previous review, we’re seeing a more accomplished exploration of an almost OVA-like approach to Digimon Adventure Tri, so a combination of great production values and episodic structure that rewards the fans but makes it hard to come in part-way through the series. 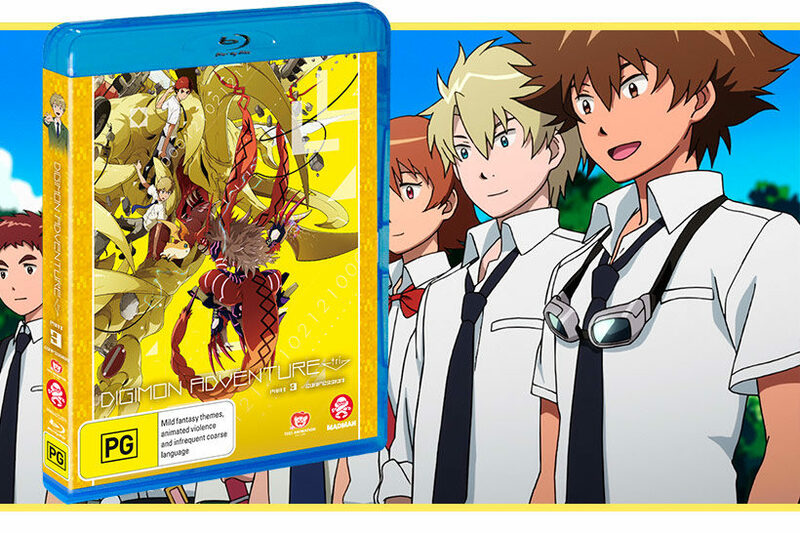 Moving onto the Blu-Ray package for Digimon Adventure Tri Part 3, we once again see the return of a delightful DTS-HD 5.1 track for both the English and Japanese audio, great encoding and, as a welcome surprise, an excellent featurette! 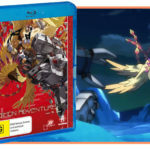 The half hour special is a recording of the Anime Expo 2017 panel which featured some of the returning voice talent who worked on the original TV series’ localisation, with the team discussing how they got involved in the voice acting industry, working on the original localisation and how they became involved with Digimon Adventure Tri. While I generally watch my anime in Japanese, I have a bit of a soft spot for the original team behind Digimon’s English production (well, 01 and 02) and from an historical perspective it made for interesting viewing. Digimon Adventure Tri Part 3 does well in adding to the slowly-building narrative of this new series, but once again firmly emphasises the cast and its broader narrative to deliver an almost OVA-like entry to the saga. While the absence of multiple action sequences may disappoint those looking for some, it ultimately adds more depth to the proceedings. This is a solid release with some interesting bonus materials that round off a great package.